Toshiba looks set to have more options for its chip unit after China said it was still reviewing a proposed US$18 billion acquisition by a Bain Capital-led consortium, making it highly unlikely that an imminent deadline for the deal will be met. China's commerce ministry said on Tuesday in a brief statement that it was reviewing the deal, without elaborating further. For the deal to close by its agreed deadline of March 31, antitrust approval from China must come by this week, a source with direct knowledge of the matter has said, as administrative procedures and the transfer of money still need time to be completed. Failure to meet the deadline gives Toshiba the option of walking away from the sale of the world's No. 2 producer of NAND chips without penalty - a move that some investors have urged it to consider. A spokesman for Toshiba said the firm had not yet given up on closing the deal by the end of the month and that even if the deadline passed, it would still aim to sell the chip unit as soon as possible. The Bain consortium won a long and highly contentious battle for the prized unit, which Toshiba put up for sale after billions of dollars in cost overruns at its Westinghouse nuclear unit plunged the Japanese conglomerate into crisis. While the sale of the chip unit was once thought necessary to rescue Toshiba from insolvency and a delisting, the conglomerate no longer needs the funds as much, having raised US$5.4 billion from a share issue to foreign investors late last year. 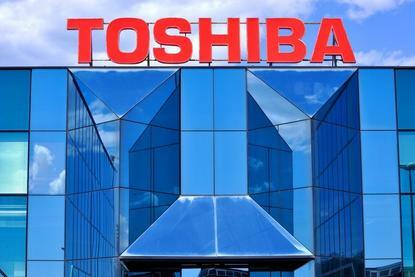 Hong Kong-based activist investor, Argyle Street Management Ltd, a hedge fund with US$1.2 billion under management, has argued that Toshiba's board should consider an IPO instead. It says it has other investors on its side. Under the deal with Bain, Toshiba would retake 40 per cent of the unit, which has seen earnings surge on booming demand for semiconductors.